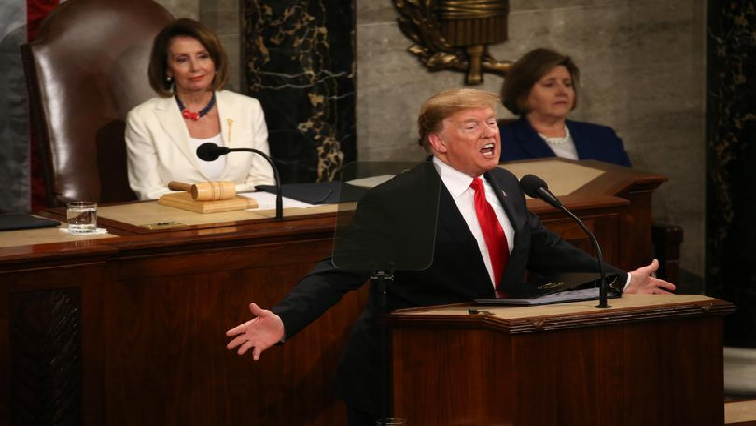 US President calls for bipartisan unity in a divided Congress - SABC News - Breaking news, special reports, world, business, sport coverage of all South African current events. Africa's news leader. United States president Donald Trump at the State of the Union. The United States President used his State of the Union to call for bipartisan unity in a divided Congress while laying out an agenda, including his hard-line immigration policy that is unlikely to win over much Democrat support. A new Democrat Speaker, a Democrat majority prompting calls to reject the politics of revenge and resistance. “An economic miracle is taking place in the United States and the only thing that can stop it are foolish wars, politics, or ridiculous partisan investigations. If there is going to be peace and legislation, there cannot be war and investigation. It just doesn’t work that way!” says Trump. In a chamber that often grew boisterous from members of his own party, Trump touted the country’s roaring economy, confirmed a new summit with North Korean leader Kim Jong UN in Vietnam later in February, promised to eliminate the HIV epidemic in the country within a decade but also had fodder for his base calling on Congress to pass legislation to prohibit late term abortions while making the case for his southern border wall. Congressional negotiators have until February 15th to conclude talks on border security or face a possible second government shutdown within weeks of each other. He talked to areas of possible bipartisanship over healthcare and prescriptions drug costs, an infrastructure bill and this moment that united the Chamber. A record number of women at 131 were elected to Congress last November, mostly Democrats who wore white to celebrate the centenary of women’s right to vote in the country. Trump also confirmed accelerated negotiations to reach settlements that would allow American troops to withdraw from Afghanistan and Syria and return home over the advice of his generals. Meanwhile New York based political journalist and analyst Luke Vargas believes President Donald Trump did not go far enough in reaching across the aisle in order to achieve his main policy objectives during his State of the Union speech. This entry was posted on 06 Feb 2019,08:09PM at 8:09 PM and is filed under World, News, Homepage Latest Stories Slider. You can follow any responses to this entry through the RSS 2.0 feed. Both comments and pings are currently closed.